Blah! I have returned. Weather to your joy or chagrin I leave to you to decide. Summer is here. I can feel it. Many of you may celebrate at this, but I am more of a winter person (this is probably because my birthday is in winter here, so I always associate winter with friends, presents and cake). Still, Summer is here. It isn't actually doomsday, but instead a colossal celebration of all things awesome, and an opportunity for people to dress up as characters from Japanese cartoons. Not being a conisseur of said cartoons, I did not don the guise of a character from one of them, instead choosing to come as my completely awesome self. On Monday too. And 'twas good. Very good. Not quite as mind-blowingly awesome as the 2006 one (Summer Glau FTW! ), but still good nonetheless. In other news, the next event is exacitally tomorrow, on the 29th of October. And it's late at night. And adults only, if you know what I mean. Naw, i'm just kidding with the last one, it is a TEEN bookclub after all. Also, for those on the path of accademic enlightenment, the Library now has a study centre that, on Monday, Tuesday and Wednesday from 1700-1800, caters to all your studying needs. And now for the KC. It has since ended, but I believe one person did complete it before. Here then, at last, is your cookie. Appologies that it took so long. 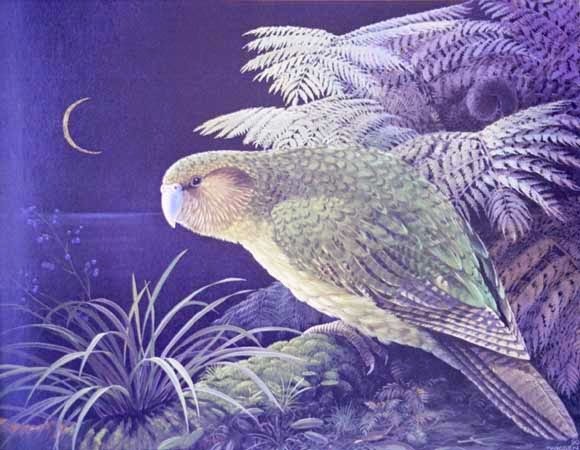 The next Kakapo challenge is to view my blog, millitantguerillacommunisthippie . Leave a comment there once you've finished. A bonus cookie if you subscribe to it. And don't forget to comment on this one too!